Triumph Varsity. The next generation of fitness. 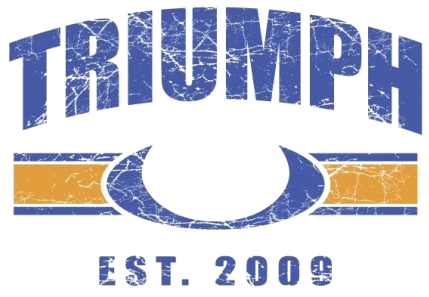 Triumph Varsity, powered by Triumph Fitness, empowers our youth to build a strong foundation of healthy habits. Participation in Triumph Varsity helps develop body control and learn basic nutrition information. Accuracy- To be accurate in sports requires excellent kinesthetic awareness and proprioception, that is, body control. Accuracy, like its neurologically based counterparts agility, balance, and coordination, allows us to control our bodies to accomplish specific tasks under working conditions, that is, on the field of play, on the job, under load, or in other kinetic situations. Triumph Varsity’s focus on mechanics first ensures that the skill of accuracy is trained all of the time in fundamental ways. In more direct terms, accuracy is practiced through a variety of exercises. Agility﻿- Agility is considered by many to be essential to athleticism. It is a complex and fascinating skill comprising cognitive, perceptual, and physical components influenced by a slew of variables. It also relies on accuracy, balance, and coordination. Agility can be viewed as the ability to quickly change direction, speed, and movement patterns as well as to stop and start quickly in response to environmental stimuli or in a predetermined manner. Although mobility and posture, that is, flexibility, are important components, equally important is strength And by strength, we mean muscular strength and local muscular endurance, particularly in the posterior chain, and midline stability. Balance-Balance, or postural control, is the ability to maintain the body’s center of gravity over the base of its support. Learning this complex motor skill is rooted in perceiving the difference between being in and out of balance in conjunction with the ability to correct oneself when out of balance. This requires the body to be in a constant state of automatic movement and relies on the coordinated activity of visual, vestibular, and somatosensory (which includes touch and proprioception) systems as well as movements of the ankle, knee, and hip joints. Balance can be characterized as static or dynamic and as with eyes open or closed. Coordination, flexibility , and even strength play a role in balance, as do body weight and height. Coordination- Coordination is the ability to execute complex interlimb tasks as a result of mastering the multiple degrees of freedom related to movements. As with accuracy, agility, and balance there is a large neurological component to coordination, which like those other skills can be improved with practice. Athletic kids are often seen as having “good coordination,” which might even be looked at as shorthand for saying they possess good balance, accuracy, and agility, as these four skills are interrelated. Endurance- Cardiovascular and respiratory endurance refers to the ability of the heart, blood vessels, and lungs to take in and deliver oxygen to working tissues and muscles and to the ability of those tissues and muscles to use that oxygen in a sustained manner. This trainable skill also depends on the efficient function of the three metabolic pathways—the phosphagen, glycolytic, and oxidative pathways. Although we can directly impact our cardiovascular and respiratory endurance by engaging in aerobic activities such as long-distance running, biking, and swimming, anaerobic activities such as sprint intervals, Olympic weightlifting, and powerlifting have been shown to have a beneficial impact on cardiovascular and respiratory fitness. Flexibility- Simply put, flexibility can be considered the ability to elongate muscles; it can also be considered a measure of the range of motion at a joint. This skill might also be looked at as the ability to achieve positions required to perform an activity. Some suggest that without this ability, we are unable to fully express our athleticism, but it is not a—ahem—stretch to say that our daily activities can be hampered as well.